In 2009, our Spartan Army asked for the God of War and God of War II experience to be brought forth on a single Blu-ray disc for the PlayStation 3. Almost two years later, we are bringing the same great Epic Adventures of Conquest, Destiny and Revenge directly to you through the PlayStation Store. For those that need a refresher, God of War: Collection was the first to introduce the God of War and God of War II experience in true 720p HD form. Both titles were remastered with anti-aliased graphics, running at 60 frames per second for a smooth gameplay experience, only on the PlayStation 3 system. Additionally, it also introduced PSN Trophy support to the franchise for the very first time. Be sure to keep your eyes glued to the PlayStation Store update on 11/2 as both the God of War: Collection and God of War: Ghost of Sparta experience will be available through the PlayStation Store for the first very time. *God of War: Collection, God of War HD and God of War II HD PSN versions will not contain bonus material and extras from the Blu-ray. Game only. Interesting. What PS3 owner really hasn’t played these games yet? Really? So…the first PS2 games on the PSN! I know they are the remastered PS3 versions, but I hope this is a sign of things to come for PS2 representation on the PSN. Hahah AWESOME. I could very well just borrow them from a friend though. Or maybe buy it cheaper than the $40 price tag. How much will this cost since it’s DD and not on a disk? If the price is good enough, I’ll still buy it to support. Kratos demands it. Wow. This is pretty sick and unexpected. Will the same thing happen with the SoC-Ico Collection? It better be cheaper then the blu-ray disc! Is each game going to be purchasable individually? and how much will it cost? What would be much better is if they included GOW: Chains of Olympus in this collection. It will cost the exact same price as the bluray people, they cant undercut the B&M stores right now by too much as they would revolt like they did with the go. Either way its a great game and you shoudl all get it if you dotn already. I’m more curious the size of the download then the price. Bring some more full ps3 games to the store instead! Good news, hope this is just the beginning of ps2 titles in the store!! Awesome more full PS3 games for download! I like the convenience of a digital copy that I don’t have to put in a disc. Also I don’t have a lot of room for stacks of games. Contrary to many fellow nerds beliefs a huge stack of games does not usually attract women. Sony, you must know you just opened up the floodgates..
You need to offer larger hard drives at gaming stores. Do you realize most do not realize they can upgrade so easily? And I just saw the pricing on the EU blog. It is as expensive (more if you consider buying it used) than buying an actual copy with the extras intact. It would be cool if i could but them seperately(gow1 and gow2)so i can afford it. Lots of games coming out and my wallet has started crying already. This is very good in all, but why isn’t Final Fantasy 12 getting a remake from the PS2 onto the PS3? After all, FF12 did have somewhere of a dev team consisting of 100+ staff and around $37 million USD worth of yen invested into it for over 5 years of development. But hey, my buddy who is slacking to get the GoW Collection can rejoice! Good move. Hopefully we’ll see more of this. Would be good if we get the choice of disc or download on release in the future with other collections eg. Ico/SOTC. Sony should also think about partnering with 3rd parties and putting the original game on PSN as a download when a sequel is released, so for example the original Assassin’s Creed when Brotherhood is released or Bioshock when Bioshock Infinite is released. Do not underestimate the first God of War. David Jaffe created a game that went beyond what was seen on screen and let us play through the stunning vistas of a fantastical ancient Greece, whilst portraying the pantheon of Gods and their squabbles as had never been seen before. An astounding game that the history books will show is admired and influential. Any information on pricing, or if the games will be sold separately? God of War III ended the story. There is no one left, no need to find convoluted ways to bring back various characters. Let God of War begin again in ANCIENT EGYPT! Let’s meet the Egyptian pantheon. Ra – the Sun god. Isis! Anubis. Let Kratos travel amongst the pyramids. Let God of War with Kratos be reborn anew! Here’s hoping for a day one Plus discount, I’d be all over that. Was just thinking about finally picking this up, but now I’ll wait for the PSN release. Well played Sony. You managed to find a way to charge people with non-BC systems to play their PS2 games without everyone getting upset. Even though there’s absolutely no technical reason whatsoever why you couldn’t make it a simple download that reads texture and video assets off the original disc. Remaster other things already, Sony. We already have god of war collection on blu-ray, why would I want to consume 5 GB (or whatever, don’t really care) of hard disk spce on something I can get on disc? What about the Ico, Metal Gear, Prince Of Persia, etc. collections? Mind those instead; we have already enough god of war. Guaranteed those games are either $29.99 or $39.99. see, here’s what I think though, as great of an idea that this is, I already own the Blu-Ray collection. I also believe that why would you want to download basically 2 games in 1 and take up all of the space on your hard drive of the game file + if there’s another install required, I’d rather play it off of the disc, and then only install what needs to be. you can get such a big hard drive and before you know it you’re already running out of space. I have a 250GB PS3 and it’s already down to about 160GB. and I even use an external to keep paid videos backed up until I want them restored. digital vs physical is only really worth it in the case of maybe music when you like 1 song or not enough to purchase a cd (even so if you’re getting something cheaper for opting for digital then it makes it worth it otherwise many people would like a physical copy of things)…once again, that is the reason I did not purchase a PSPGO is because you guys didn’t keep the UMD drive and I already have a previous collection and also by owning the Go you’re forced into a Monopoly of one provider to purchase from (and maybe Amazon, i don’t know, but either way they don’t offer the digital format any cheaper). i never played these, still i have the games sitting on my shelf. i dunno why but i keep pushing the day i’ll play it. might not just be my type of game. also, the GOW Collection is 19.99$CAN in some store. it better not be more than that on the PSN. ps plus will get a discount right? @36 ico and shadow of the colossus have been announced for next year on a compilation blue ray by team ico think they said spring of next year. 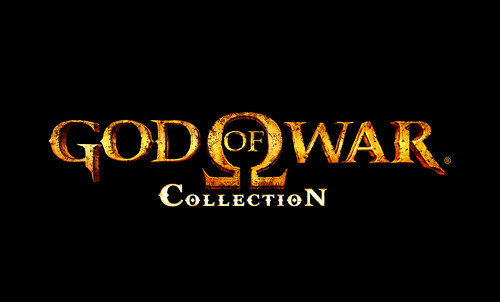 As a staunch supporter of Digital Distribution, i am EXTREMELY pleased to see that you guys are bringing the wonderful GoW collection to the PSN. Thank you sony. May i also suggest another innovation which would make us gamers love you guys even more? – Bring the Greatest Hits line of best selling PS3 games to the PlayStation Store also. BAM! Ps2 games downloadable on PSN. We asked, and we received. Is this the PS2 version or the PS3 version with trophy support? Should be $15 for the collection considering no bonus material is provided. WHEN ARE WE GETTING CROSS GAME CHAT?! Damn… I love digital distribution, but I still have it on BluRay… why couldn’t you have done this when it was release!!! I want to DL all my games and not have to leave my house to buy em!! !